Have you ever thought how easy it can be to remove a difficult stain from clothes or how easy it is to mask traces of nail polish on the walls? When nothing seems to help you, turn with confidence to these advice! 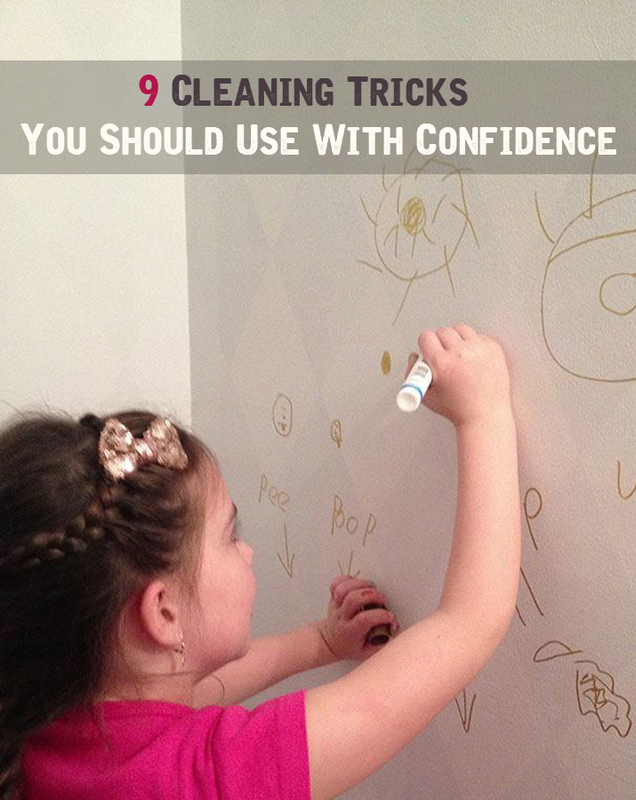 Here are nine tips that work in situations where you least expect it! 1. Blue ink stains can be cleaned easily if you put for a few minutes the stained clothing in hot milk. Red ink stains disappear within 24 hours if we put a little mustard on them, and the next day you wash the cloth. 2. Coffee’s aroma is kept for long after you unsealed the bag, if you keep it refrigerated. 3. You want to have healthy flowers and vividly? Wipe the leaves with a clean cloth moistened with water, and then once a month, sprinkles them with beer using a spray bottle. This way, you will protect the insect pests and diseases. 4. Once you have fried fish, cutlets, schnitzels and sausages in the kitchen unpleasant odor persists. Ventilate the room, in which you cooked the dishes, well and then put in a flat dish a slice of bread sprinkled with vinegar. Close window and leave bread on the table from her day to day. You will see that the smell will disappear overnight. 5. The egg is boiled and cooled more easily to peel if the water in which has boiled you put a few drops of vinegar. Moreover, it won’t break if in the boiling water you add one teaspoon of salt. 6. Leather clothing (but not the suede) “live” longer if like us every summer (the season) we give a liquid shoe polish. Then after letting them dry, polish them with a soft, dry cloth and put them back in the closet. 7. When you want to insert a screw into the wall, it will get easier if anoint the top with wax. Do not use soap because it is not a good lubricant and promote corrosion. 8. Correction fluid used to erase errors on documents is very good to blur nail traces and tacks walls. 9. Traces of pencil or pen on the walls disappear if you apply over them a paste consisting of shaving soap and sodium bicarbonate.